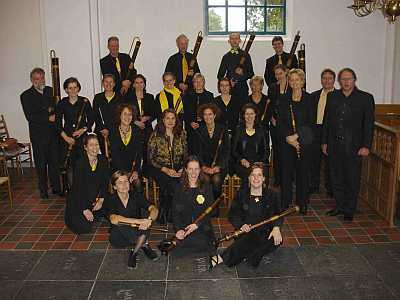 Based in Leiden, Holland, the Dutch Recorder Orchestra Praetorius was formed in 1963 by Piet Kunst. It is now lead by his son. The orchestra has a wide repertoire, and regularly incorporates leading artists into their performances. In 2010 they performed the Telemann Suite in A minor with the recorder virtuoso Marion Verbruggen.